In Simferopol this morning, on November 28, Russian security forces came to the house of Galina Baloban, an activist of the Ukrainian Cultural Center (UCC). 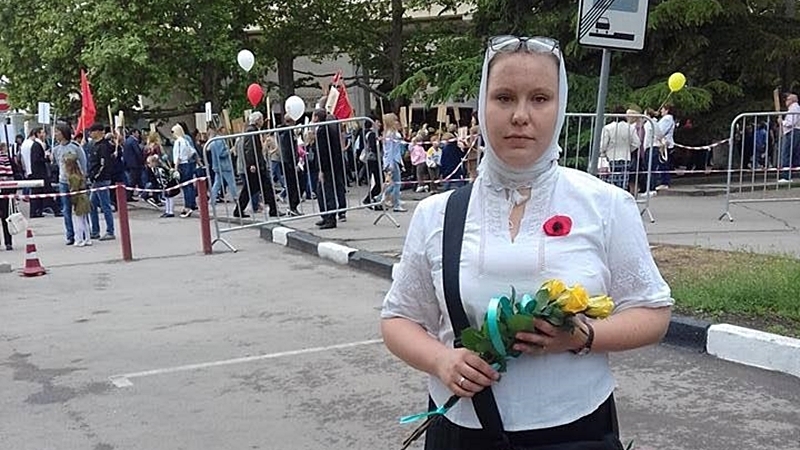 Public association Crimean Solidarity reported about the search on Facebook, referring to the activist of the UCC, Alyona Popova. “According to a lawyer, at the moment the doors in Galina Balaban's house are closed. The phone is disconnected,” the report says. Journalist Anton Naumlyuk on his Facebook page further noted that the activist only had time to report that a search had started in her house, after which the connection was lost. Later, the activist of the UCC, Mykhail Batrak informed that search at Galina Baloban’s home was finished. All the equipment was seized, including the telephone, and the woman was released. Security forces stated that the reason for search was the activist's publication in social networks of allegedly extrimist character. The search was carried out without the presence of a lawyer. The Ukrainian Cultural Center in Crimea publishes the newspaper Krimsky Teren. On August 29, the FSB conducted a search in the house of the UCC activist Olga Pavlenko in Simferopol. She was charged with contact with the Right Sector, which is banned in Russia. During the search in Pavlenko’s house equipment was seized, and the woman was summoned for questioning. In early September, Olga Pavlenko left the occupied Crimea to mainland Ukraine. In April, activists of the UCC Alyona Popova and Olga Pavlenko were summoned for a “conversation” to the “prosecutor’s office” of Simferopol. The reason was the activity of the center and the publication of the newspaper.